A "symbolic" pioneer in Syria's scientific advancements can now be added to the list of departures and defections from the regime of Syrian President Bashar al-Assad in recent days. Mohammad Ahmad Faris, Syria's first man in space, crossed into Turkey this past weekend after meeting with commanders of the rebel Free Syrian Army in the Syrian city of Aleppo, the Turkish news agency Anadolu reported. "I am ready to provide assistance to the Free Syrian Army," Anadolu quoted Faris as telling commanders of the umbrella group of rebel fighters. "We are with you all the way." An Army veteran who neighbors say played in a far-right punk band was the lone shooter in the rampage at a Sikh temple in Wisconsin that killed six people and wounded four, according to information Monday from law enforcement authorities. 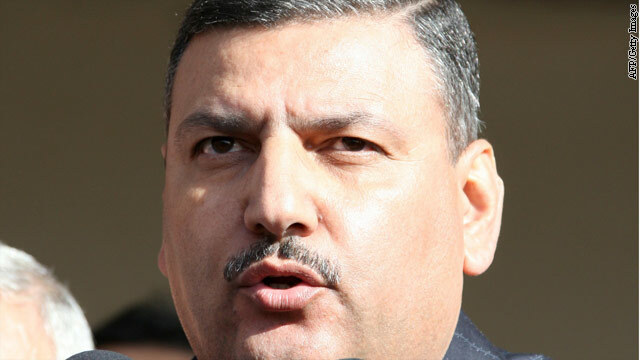 Syria's prime minister has defected, officials said Monday, in what is the highest-profile departure from the embattled regime of President Bashar al-Assad. Riyad Hijab fled Syria overnight and arrived with his family in Jordan, said George Sabra, a spokesman for the opposition Syrian National Council. Jordanian officials confirmed that Hijab, who was appointed prime minister in June, had defected to Jordan and was with his family. The Syrian government, meanwhile, said Hijab resigned his post, according to a banner on Syrian state-run TV.